One of my favorite Food Lion sales is running this week! They have a number of items on sale Buy 2, Get 1 Free and while that may not sound great… they put them all on sale too! 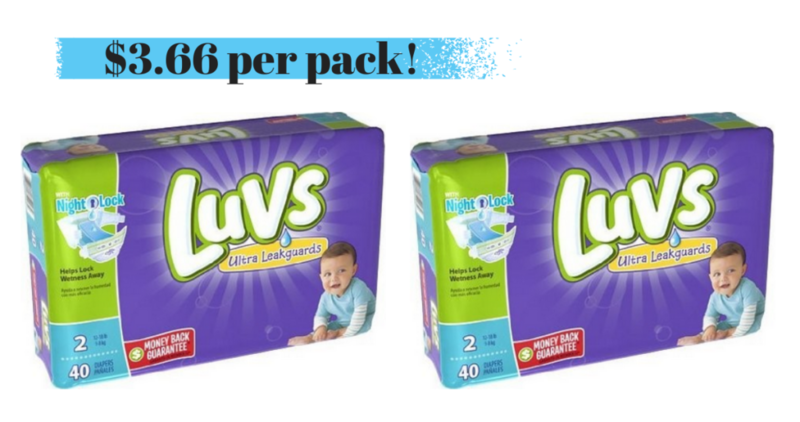 Stock up on Luvs diapers for only $3.66 a package with a sale price and the Buy 2 Get 1 Free sale! There are other great deals like free coffee and super cheap cat food and Tide. So head over and see the full list of deals.